I am referring to gardening of course! You don’t have to have a 1,000 square foot garden to produce enough crops for your family. Far from it. We have had all size gardens and to be perfectly honest, smaller is better. It works for us and it might work for you. 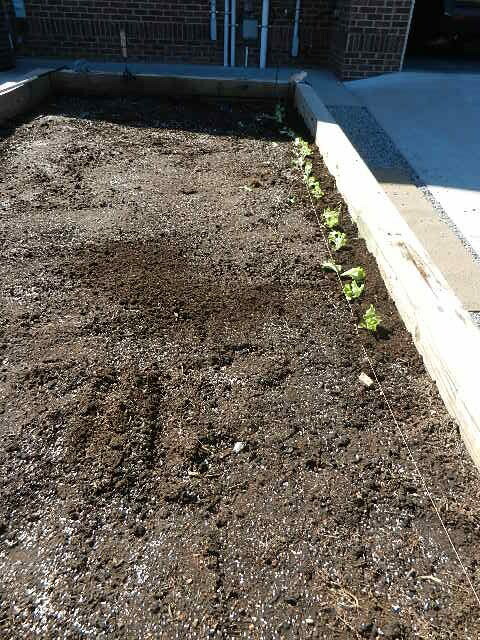 This photo is from the early stages of this year’s raised bed garden (end of February 2016). It is not big by any means. At 8 x 16 it is hard to believe all that we get out of it. Now, fast forward to today. Check out this photo taken May 24, 2016. In the middle – Swiss Chard (those big huge leaves) along with sweet potatoes and yellow squash. At either end is one tomato plant. We have been eating salads at dinner for a long time and so have our neighbors, since we have enough we share. 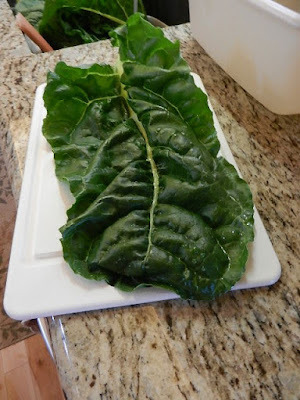 We have had Swiss Chard for a month or longer. If you aren’t sure what Swiss Chard is, it is very similar to spinach, but huge leaves – at least in our garden. That is one huge Swiss Chard leaf! If you don’t have time, space or energy for a large garden this type of set up might work for you. It’s not too late to plant, just get moving on this project. 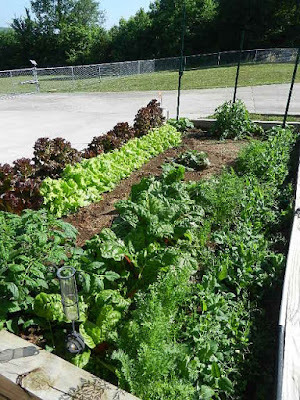 Build yourself a raised bed (or buy a set up) and soon you too will be producing a good crop. If you have an apartment or condo – as long as you have a balcony or patio you can do container gardening. A tomato plant doesn’t care if it in a huge garden or in a pot – it will give you fruit if you just give it water and some love. Just get yourself a few good size pots at the dollar store. Make sure they have drainage holes, fill with dirt and plant your ‘garden’. 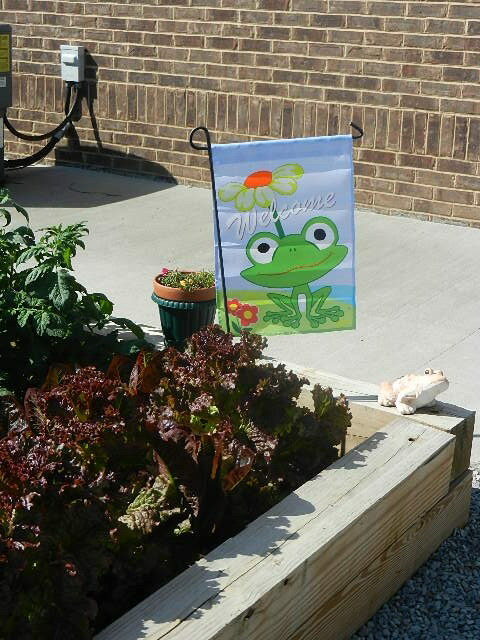 If you have questions regarding how or what to plant check with a local garden center and sometime a friend or neighbor might have the answers. There is always the internet. If you have a little dirt, a lot of determination and a desire for fresh veggies – go for it. There is always room for a garden flag!